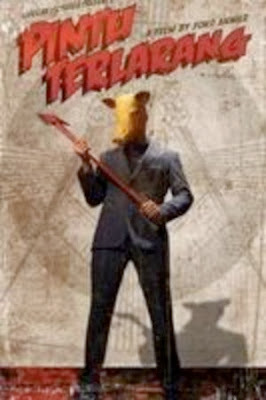 Rupert Pupkin Speaks: Favorite Underrated Horror - Peter Gutiérrez ""
Peter has been writing for Rue Morgue since 2008, and you can find him rambling on Twitter about the nightmarish things he feels compelled to share: @Peter_Gutierrez. 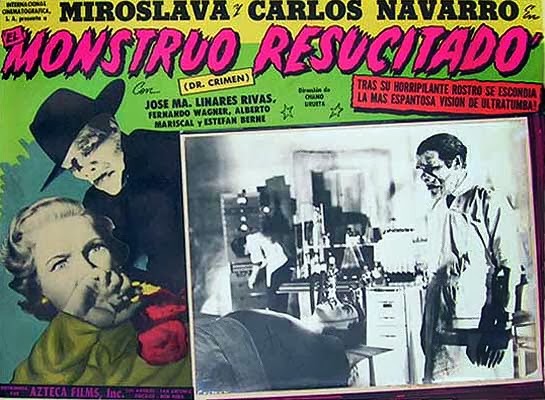 Chano Uruetta is hardly an unknown director, and this film is often considered something of a landmark, so including it on this list may seem a bit odd. Still, I feel need to champion it in a raised voice, just on the off-chance that some may dismiss it as only of historical interest or notable simply for its low-budget, rubber mask-y charm. I myself was totally unprepared for Monster when One 7 Movies released it on DVD earlier this year. As dreamlike as the best Mexican horror of its era, Monster combines Beauty and the Beast and Frankenstein in a way that makes you wonder if they were really the same story all along. There’s little question as to why this film is so ignored: an extreme-indie, negative budget shaky-cam exercise in random torment released (perhaps only on DVD?) at a time when the public was beginning to weary of random torment. But I’m asking you to look beyond all that, to directors Greg Swinson and Ryan Thiessen’s utter control of the tight space where all the(real-time!) action occurs, and to the incredible energy and zeal of the amateur actors. The result is not just insanity, but insanity with conviction. Even the title is more beautiful than it has a right to be. Another member of the maligned shaky-cam generation, this relentlessly brutal film has a reputation that’s suffered from what (understandably) may seem like its purely exploitative approach—in short, the ol’ snuff film conceit. But in this case single-minded doesn’t mean simple-minded. Certainly subjective POV had been in horror for a long time before The Butcher was made, and, yes, the recent explosion in found footage fare can make this older film feel more clichéd than it is. However, those who can get past these surface traits will notice that director Kim Jin-won (who, sadly, doesn’t seem to have done much since) makes smart choices every step of the way. Moreover, the way we witness events from the perspectives of killer and victim, and so identify with both, makes The Butcher metaphorically, and powerfully, emblematic of the genre itself. It’s entirely possible that the past decade has seen MarianoBaino’s memorable Ukrainian creepfest graduate from “underseen” to “cult film,” but even so its reputation could use some burnishing. 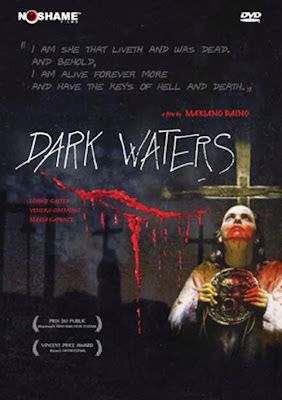 As proof, just check out Netflix, where Dark Waters is currently sporting a below-average rating of 2.6 stars. How to convince doubters, then, or even yourself if you fall partly into that group? Try this: Dark Waters is not only gothic and Lovecraftian, but also delivers on both those fronts. Joko Anwar’s harrowing follow-up to the hugely acclaimed Kala. Technically and aesthetically brilliant, and packing in so many shades of horror and so much casual meta-commentary on both art and spectatorship, The Forbidden Door is the kind of work that’s easy for critics to dismiss as overstuffed with content, ambition, and style. Not me, though. The stunning perversion and cruelty, the rich, velvety score, the tormented artist theme, the combination of tenseness and lushness, of precise horror and voluptuous horror—all of these make me think that if Brian De Palma ever saw this film he’d simply stop making movies altogether. DARK WATERS is definitely worth a watch. I didn't love it, but its vibe is, yes, pure Lovecraft.